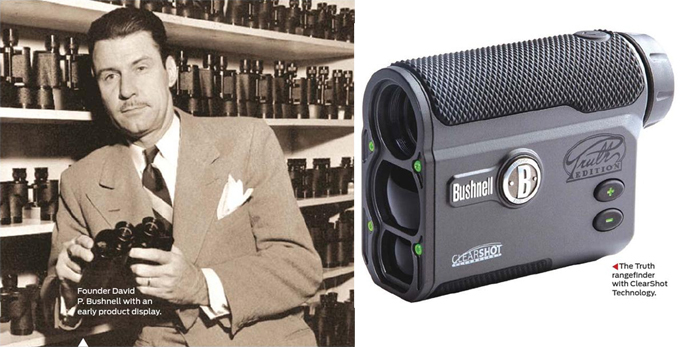 For decades, Bushnell has been known for fine optics the world over. Recently, we sighted an opportunity to connect with Jordan Vermillion, Bushnell's director of product development, and he got us focused on the right information. Question : How did the company get started? Jordan Vermillion : The company began in 1947 when David P. Bushnell was visiting the Orient on an around-the-world honeymoon and purchased 400 binoculars for a Christmas gift order. In the post-World War II United States, optics were a luxury item, and he saw the opportunity to bring high-performance optics to the average consumer. Unfortunately, a shipping strike prevented pre-Christmas delivery of the binoculars, resulting in the cancellation of all of his orders. To sell through his inventory, David created a mail-order business and placed an advertisement in a sporting goods magazine offering a 30-day exchange or refund on purchases. Later, he leveraged his background in engineering and focused on improving the binocular by incorporating lighter-weight materials and wide-angle lenses, and adding coatings to reduce glare. Q : What has changed the most in the optics field? JV : Some of the biggest advancements have come by way of lens and prism coatings. These maximize light transmission, color fidelity and resolution, providing consumers with an enhanced experience in the field. 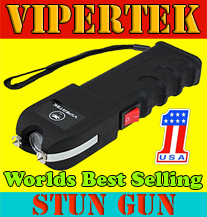 Another category is distance measuring devices or laser rangefinders. In 1995, we were the first company to make distance measuring attainable for consumers with the Lytespeed 400, a device that allowed golfers and hunters to simultaneously measure the distance to the target and magnify the image, eliminating the guesswork, resulting in more confidence and accuracy on the course and in the woods. Advancements in all-weather performance have also been important Our permanent hydrophobic RainGuard HD lens coating causes moisture to bead and scatter less light. For hunters, this means having the confidence to acquire a target and take a shot when other optics would be rendered useless. Finally, reticles have evolved from basic duplex designs to bullet drop compensation (BDC) to the Mil-based reticle systems used by military. With ballistic data at our fingertips and reticles that allow us to accurately account for distance and windage, shooters are becoming more accurate and capable of shooting long distance targets. Q : Do you ever adapt existing products? JV : One of our mottos is that if it can be built, it can be improved. An example is our recently introduced third-generation, laser range-finding binocular. From the first genera?tion to the third, consumers helped identify areas for improvement. The new Fusion 1 Mile features a laser rangefinder capable of acquiring targets at distances up to one mile in combination with a high quality binocular available with 8x, 10x or 12x magnification. Based on consumer feedback of the second-generation unit, we completely redesigned the display to improve readout visibility in bright ambient light conditions while enhancing the binocular's light transmission and color fidelity for improved low light performance. Q : What sets Bushnell and its products apart? 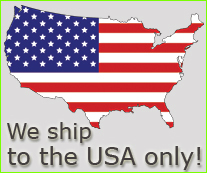 JV : Our ultimate goal is to develop the hardest working product at everv orice ooint. Whether a consumer is purchasing his/her first Bushnell binocular or has saved for months to purchase a riflescope for a once-in-a-lifetime hunt, they can rest assured knowing they've spent their hard-earned money on the best product money can buy. We recently introduced the Bushnell Bulletproof Guarantee, a no-questions-asked, one-year guarantee on select binoculars, laser rangefinders and spotting scopes. If, for any reason, a consumer isn't satisfied with the Bushnell product, it can be returned to Bushnell for a 100-percent refund. Another tenant of our business is simplicity, and we work with enthusiasts throughout our product development cycle to ensure the products we design are inherently simple to use and understand. For example, with the introduction of BackTrack in 2006, we introduced a simple, easy-to-use navigational device to help consumers get from point A to point B.
Q : What is new for 2014? JV : There may not be a technology in the last few decades that has excited hunters like trail cameras, but until recently, the only way to check those cameras was by visiting the site and risking disrupting animal patterns and leaving human scent. The Bushnell Wireless Trophy Cam HD is the industry's first carrier-approved wireless trail camera built on the AT&T network. No contracts required; consumers select the Bushnell data plan that best meets their needs and images are delivered in near real time via SMS or email. In addition, consumers can control the camera remotely throueh the Android or iPhone app or via the web portal. Because of the growing interest in long-range shooting, Bushnell has recently introduced the Elite Long Range Hunting Scope (LRHS). The 3-12x 44mm riflescope offers a broad magnification range, the Mil-based G2H first focal plane reticle and an exposed elevation turret equipped with the RevLimiter zero stop mechanism. From the range to the field, the LRHS provides the long-range enthusiast with the information and repeatability necessary to succeed as a marksman. 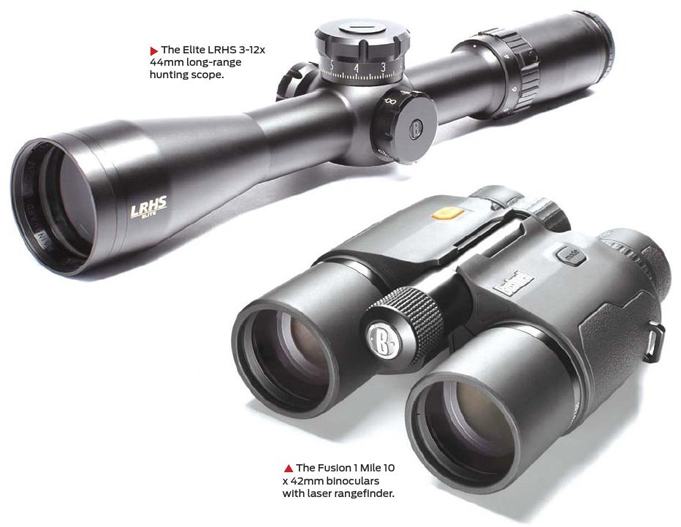 Bushnell has released a new range of riflescopes and binoculars in two categories, the Trophy and the Trophy Extreme Series. 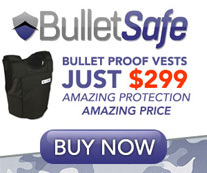 And what's more, they both come with Bushnell's new "Yes That's Covered" fully unconditional lifetime warranty. 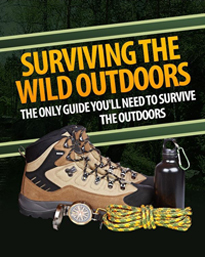 The majority of the old XLT models for example the 10X42, 8X42, 10X28 and 8X32mm, are all included in the Trophy Range and feature a new rubber-armoured design making them extremely rugged. Other features include fully multi-coated lenses, lead-free glass and a new ergonomic look. In fact I'm told they are 100% fog proof and fully submersible. 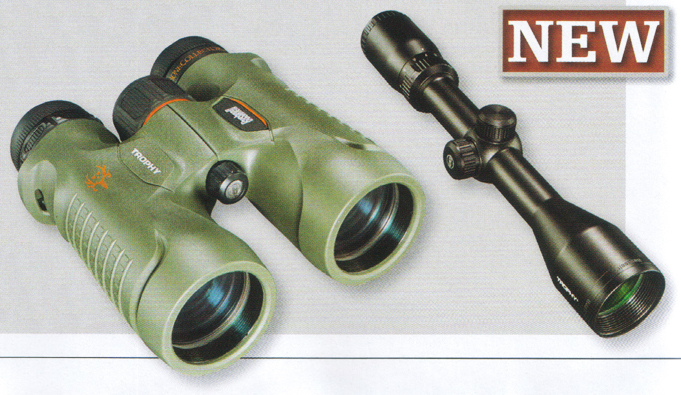 The Trophy Extreme Range on the other hand now offer A full size binoculars in 8x56, 12 x 50 and 10x50mm. These all feature large objective lenses and an additional Phase 3 coating for premium quality and light transmission. The Trophy model riflescopes are a premium quality product at an affordable price featuring a 1" tube, fully multi-coated lenses, fast focus eyepiece, 14 MOA adjustment and 100% water, fog and shock proof. They are available in 2-7 x 36, 3-9 x 40, 4-12 x 40 and 6-18 x 60mm. The new Trophy Extreme range offers all the features of the Trophy model, but offers a 30mm tube, side parallax adjustment and a higher magnification range. These include the 2.5-10 x 44, 4-16 x 44 and 2.5-15 x 50mm.